Welcome to Woodview Caravan and Campsite a family run and owned park guaranteeing excellent, modern camping and touring facilities. We have a recently constructed luxurious under floor heatedshower, toilet block and laundry block. Woodview Caravan and Campsite lies in an elevated position, sheltered by trees, next to mature beech woodland.It is close to national trust beach of Sandymouth which has a beautiful sandy beach with many rock pools for children to explore There are local nature walks in beautiful surroundings with wildlife and flowers. On the southern side there is a small stream which flows into the river Tamar. 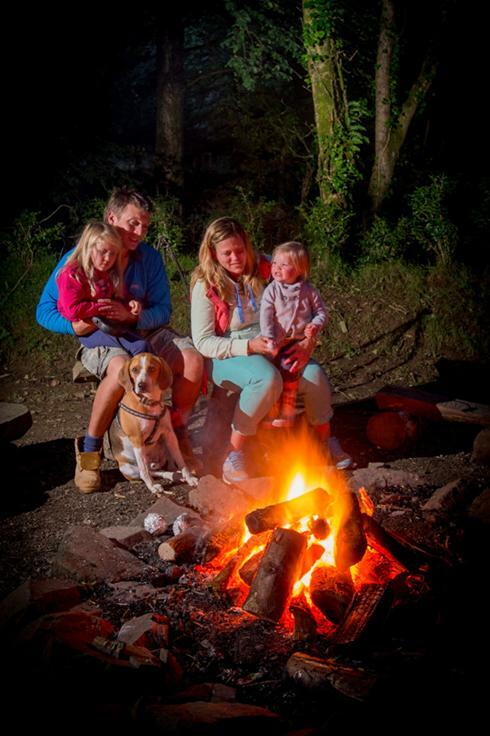 On this stream we have 8 fire pits set amongst the trees with grills which let the family enjoy the real family camping experience. You can also BBQ in the main area subject to health and safety rules. please click on the availability box toCHECK IT OUT.